With extensive experience in migrating on-premise services and application to the cloud, Bell Shore Technologies is perfectly positioned to help you move to the cloud. We can migrate your services to a provider of your choice or host your organization’s services using Amazon’s reliable cloud services. With many years of cloud and hybrid cloud experience, Bell Shore Technologies is the go to partner when you are considering going to the cloud. Whether you’re a small 10 person office or a multi-site enterprise Bell Shore Technologies has the experience to move to the cloud. 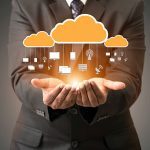 You can choose from all the big cloud providers or we can pick the best provider based on our in depth discussions about your information technology needs. We partner with all the big cloud providers – Amazon, Google, Microsoft, IBM. Need email moved to the cloud? Let our experience make that move as smooth as possible. Moving from one cloud to another? We can do that too. But what if youneed to move an application to the cloud? We can do that too. We’ve migrated on premises applications to both private and public clouds. We can plan, implement, and manage your first foray in the cloud as well as troubleshoot an existing cloud deployment. Call us today and let Bell Shore Technologies be your cloud partner.